Electric Wall Oven is rated 4.7 out of 5 by 6. 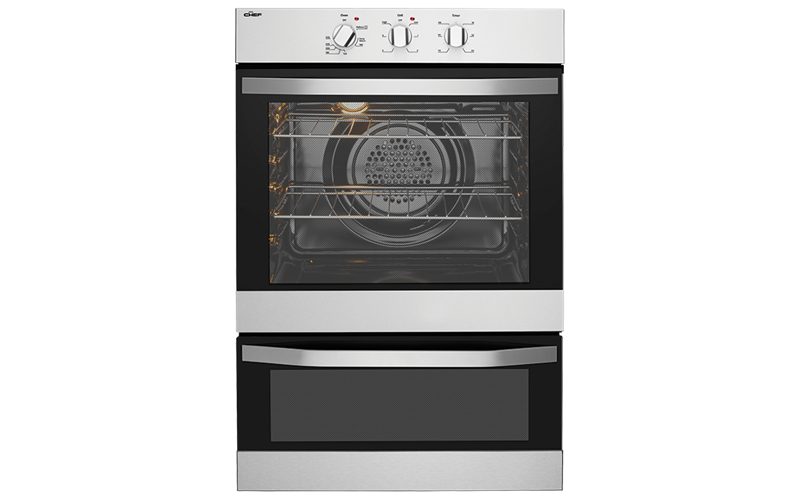 The CVE662SA Electric Fan Forced Wall Oven features a stainless steel finish, and a separate grill allowing you to grill and bake at the same time whilst keeping cooking smells and flavours separate. Discover more features, reviews and specifications here. Rated 4 out of 5 by oven from good oven I have had the oven since October, replacing a 1986 chef oven. I am enjoying using it.I miss not having a baking tray with rack. Rated 4 out of 5 by pvb11 from I'm pleased with my purchase I'm glad I chose this model because it has simple controls which makes it easy to use.